Based in Auburn, MA, an hour west of Boston, Fisher Shipping is the nation’s most trusted and reliable car shipping broker. Since opening our doors in 2006, we have been serving dealerships, corporate vehicle fleets and private individuals in all 50 states with all their car shipping needs. Learn more about our open and enclosed Vehicle Transport Services. If you have questions, you’re encouraged to read our auto transport FAQ or simply get in touch. Whether you’re relocating for the season, for school or forever we know how to ship your vehicle reliably, expertly and at a reasonable cost anywhere within the United States. Give us a try and you’ll learn why we’re different and offer a better auto transport experience than anyone else. When thinking about Fisher Shipping Company, three primary advantages come to mind: experience, speed and reliability. One of the key differences between Fisher Shipping and everyone else is our customers’ expectation of a successful vehicle pick up and delivery. We don’t keep you guessing on the status of your vehicle(s). In fact, our agents communicate well and build realistic expectations for our customers both in timing and all-inclusive cost. While problems and unexpected issues do crop up from time to time, our staff is well trained to handle these rare situations. They will communicate with you, answer your questions and do everything in their power to make your experience with us a positive one, like it has been for thousands of other customers. 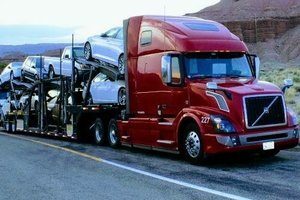 We know your dealership depends on a reliable auto transporter who takes your car shipping needs as seriously as you do. Learn more about our dealership transport services. 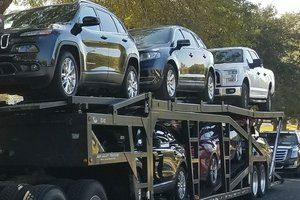 To ensure each dealer trade, auction transport, and vehicle delivery to your out of state customers goes as smoothly and reliably as possible, give us a call today at 1 (888) 886-3456. “I’ve used Fisher several times and they are one of the best. Their rates are extremely competitive and the staff f is great! I would definitely use them again and recommend them highly.” Charles N.